Locke Shock! Harawira Horror! MPs Under Security Scrutiny? If this don't beat all? Two of Parliaments most radical MPs complaining that their past activities have been monitored by security services. The Security Intelligence Service has been spying on an MP's private life and his communications with constituents, he says. Green MP Keith Locke, a former peace activist, applied under the Privacy Act to have his top-secret security file released - revealing what he describes as distasteful intrusion into his personal life and unacceptable intrusion into the democratic process. The declassified file showed that he had previously been covertly photographed, that the SIS had kept track of his private work with constituents and that he had been monitored in other ways as late as 2006. He is demanding assurances that the monitoring will not continue, and calling for tighter Government control and public accountability for the so-called spooks. "Clearly the SIS has been operating without adequate government oversight," he said. I would be protesting if the SIS wasn't monitoring Keith Locke and would be most disappointed if they didn't continue to do so. Locke has supported the Khmer Rouge conquest of Cambodia, the Soviet invasion of Afghanistan and the the murderous communist insurrection in the Philippines. He has been great mates with the Australian Democratic Socialist Party who are buddies with the former East German communist party, the barbarous Cuban Communist Party and the ultra militant Communist Party of India (Maoist). Locke supported the Urewera 17 "terrorists" in 2007 and the suicide bomber sympathising Students for Justice in Palestine in 2006. Green Party co-leader Jeanette Fitzsimons said such surveillance of Locke would be a "huge discredit" to the SIS. "MPs are elected by the people. To have the secret service spying on them is hugely anti-democratic," she said. Why Jeanette-are bent MPs, with all their influence and access to information somehow less of a security threat than ordinary citizens? 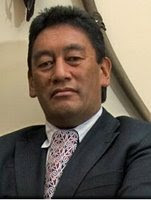 Fitzsimons and Maori Party MP Hone Harawira will both be requesting their SIS files. Harawira said he had been subjected to SIS surveillance as a member of the protest movement, before entering Parliament, and had once spotted his file while in police custody - alleging that he had been involved in an arms deal on a boat in Whangaparaoa Harbour. Hone Harawira, now a Maori Party MP, was once arrested and secured by plastic wrist ties to a scaffold with fellow protesters . But the protesters moved the scaffold to read their files while police were away. His contained allegations he had done an arms deal on a boat in Whangaparaoa Harbour. Hone Harawira of course denies this allegation, but he also supported those arrested in the October 17 2007 anti "terror" raids, who were using illegal weapons. What do you think? Do these MPs warrant a little covert surveillance? What about the more than 20 other serving MPs with former communist or far left backgrounds? You still haven't posted anything to back your accusation that Students for Justice in Palestine are sympathetic to suicide bombing. All you've mentioned is an article you claim showed such sympathies in the group's magazine that clearly states that individual articles don't represent the group's views. Playing "let's pretend" isn't really a good way for an adult to behave. And a little hint, if you want to continue to pose as a libertarian, real libertarians are highly critical of the state and its coercive and surveillance arms as they tend to be laws unto themselves (who knows what else Helen might have had the SIS doing while she was minister? ), they don't tend to run around chanting "more power to the state, more surveillance, more policing..." ad infinitum. Would you say that if let's say it were former members of the Ku Klux Klan? Would you be disturbed if your politician was a member of that group which lynched people for the color of their skin or for their association with those whom had a different color of skin? Its not Locke that should be monitored. Its is Sahar and the other extremists at SJP-Auckland who publicly speak of human rights and democracy and privately advocate things far more violent. The person who wrote the ode to suicide bombers is one of them, but not the only one. All one has to do is sit in on one of Sahar's tutorials to get her real views--just say the word "Israel." Don't recall Locke ever lynching anybody, Mah. Sam-re locke and suicide bomb supportes. The links are all there-let people make up their own minds. Sam-real libertarians happily support the security services, just as they support the police and the armed services. The security services help protect us against traitors and political criminals. Ayn Rand supported the US government's investigation of communist subversives and was happy to testify before them. Marxists and left anarchists routinely resort to criminal activity and fully deserve state surveillance. "Don't recall Locke ever lynching anybody, Mah." No-long history of supporting mass murderers though. A bit like that mass murderer Pinochet that you supported Trevor. Anon-I don't actually remember doing that. Do you know different? "A bit like that mass murderer Pinochet that you supported Trevor." Yeah, keep on supporting Soviet proxies whom were no better than Pinochet while you're at it. I guess in your world, it's okay that the KGB can gain recruits in the Chilean Socialist Party. Some forms of neo-imperialism seem to be equal than others. "The links are all there-let people make up their own minds." "Locke supported... the suicide bomber sympathising Students for Justice in Palestine"
"Locke wrote an article published in a magazine which also published an article which I reckon expressed sympathies for suicide bombing. No Sam, what I meant-and still do was was what I said in the first place. Sorry, Trev, I meant that this was the evidence you have. I accept that what you meant was that Locke is a rabid commie who supports Islamic terrorism - it's just that the evidence for this is of the same nature as the evidence recently presented to me by a small child arguing for the existence of the tooth fairy.